This extraordinary Tudor home has everything: a gorgeous location, beautiful rooms, a pool, stables – and a cricket pitch much beloved by one of Britain's greatest-ever actors. The property market around much of Britain is tipped for a slow-down, but some areas are booming. And near the top of that list is Devon, where the beautiful villages of the southern part of Dartmoor offer glorious views and easy access both to Exeter and the sandy beaches of the south coast. And this is exactly the sort of property that many of those buyers will dream of. Sitting on the edge of the brilliantly-named village of Lustleigh in Devon is the delightful 16th century Wreyland Lodge, on the market with Knight Frank and priced at £1.75 million. 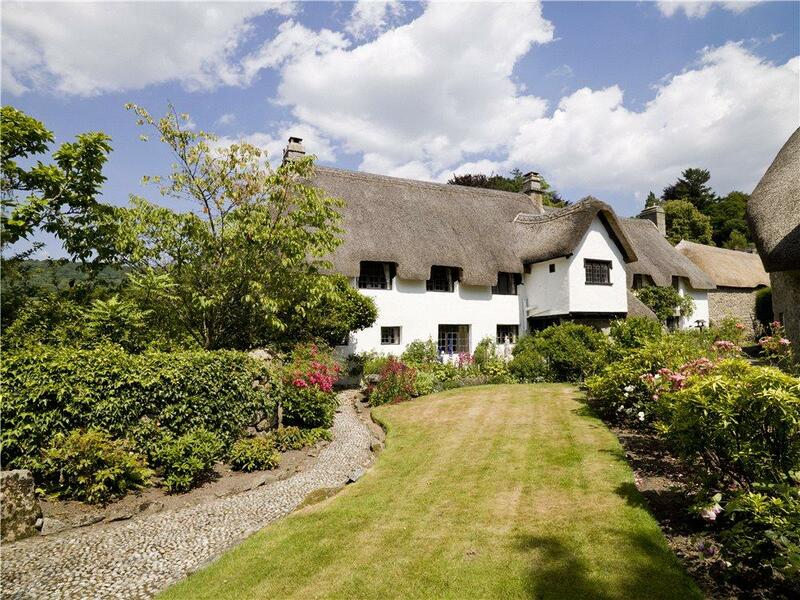 This thatched, stone-built home actually occupies a plot which has been a home since the 13th century, though the house as it is today is essentially a Tudor building – albeit one which has been beautifully updated in the past four or five centuries. 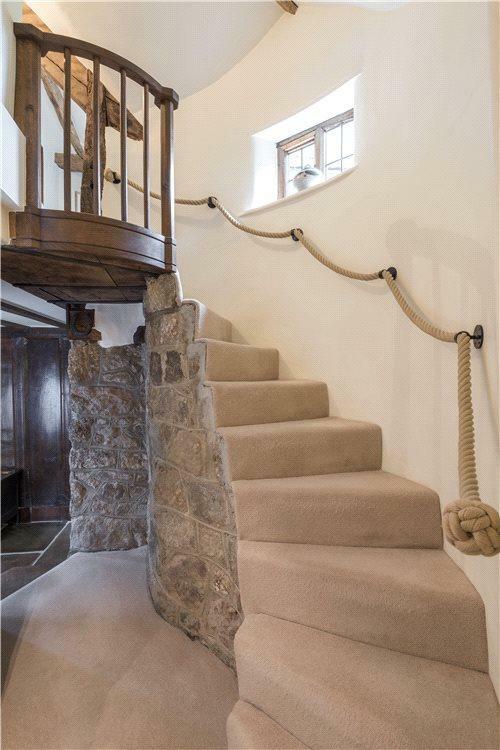 It’s a five-bedroom home with all manner of interesting and characterful touches. 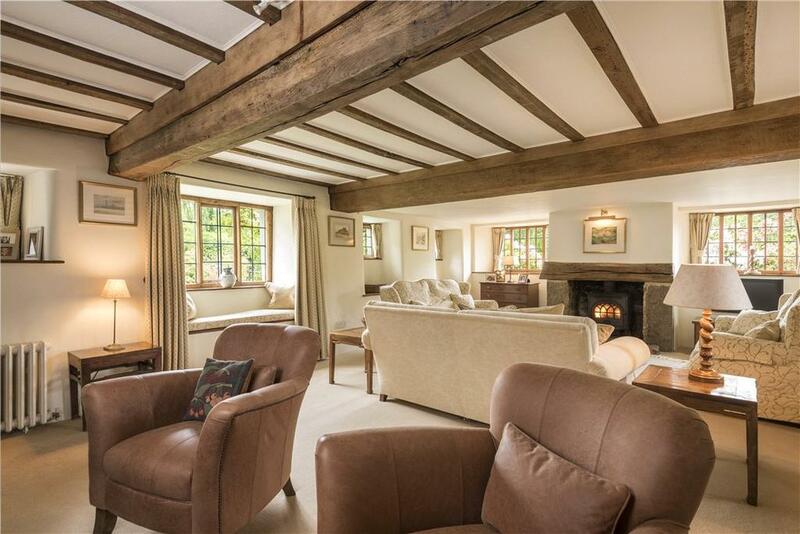 Ceiling beams and wood panelling have been retained wherever possible, for example, while the huge inglenook fireplace in the dining room and the curving staircase – carpeted, but evidently stone-built – really show the history of this five-bedroom house. Not all the rooms have quite such a 16th century feel. 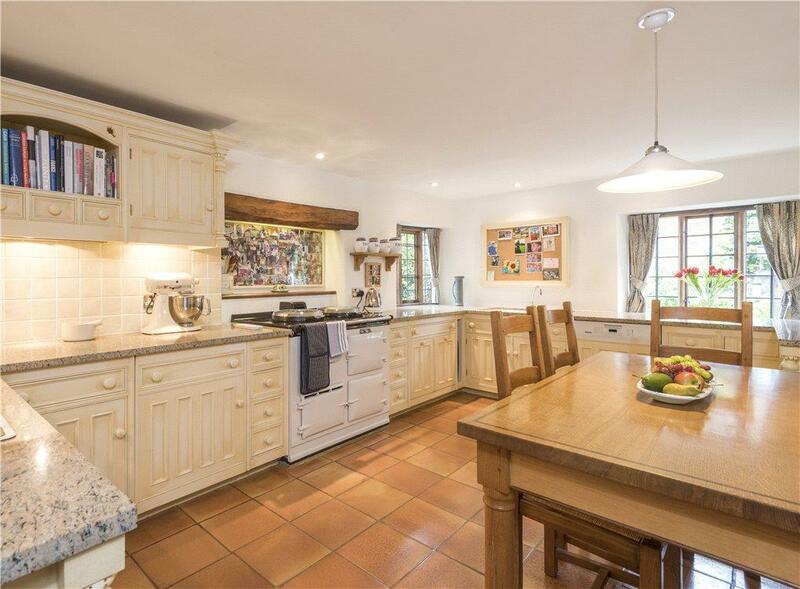 The garden room overlooking the house’s glorious nine acres of grounds has a fresh modern feel, while the kitchen/breakfast room (complete with Aga) is sympathetically done yet replete with modern appliances. As lovely as the house is, however, it’s the gardens which will be the biggest draw for many. 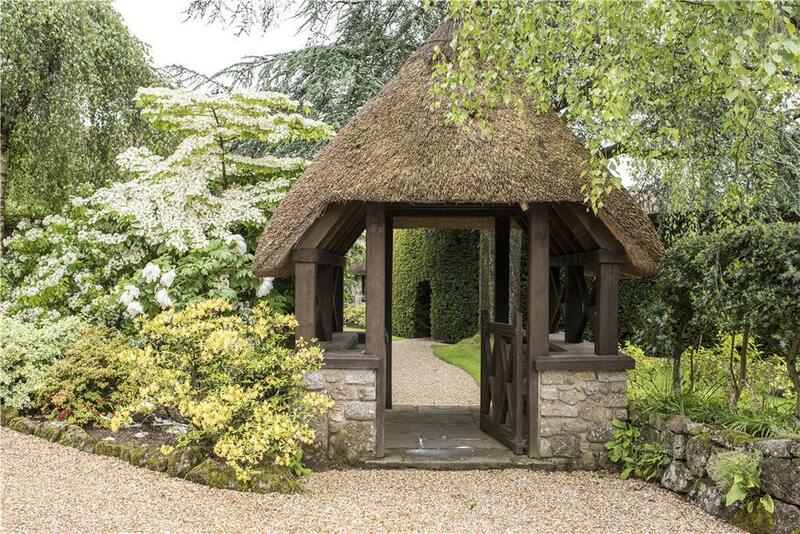 As well as the formal gardens and lawns – approached by a thatched archway – there is also an orchard, a river, an outdoor pool, tennis court, stables and a paddock. 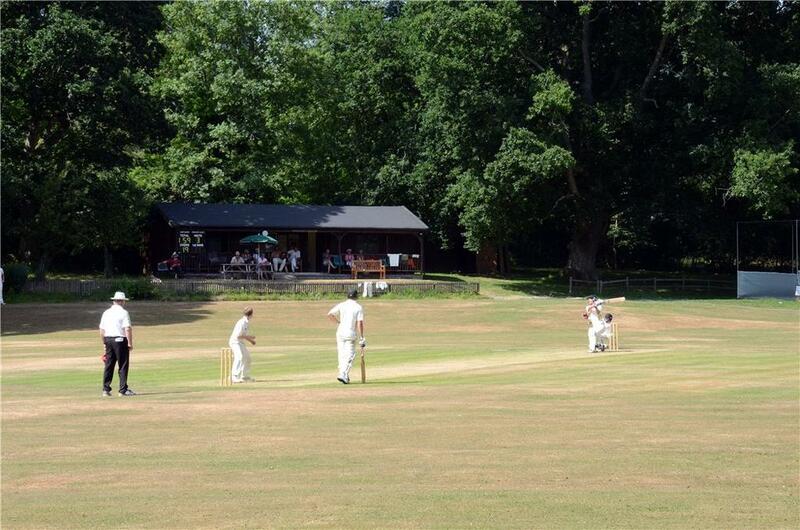 As if that weren’t enough, the property also includes a cricket pitch – one use by the village club. It’s a delightful ground, tree-lined on one side and with the River Wrey down the other, and has a remarkable history. The late Peter O’Toole often brought his cricket side, the Lazarusians, down to play here, and he proclaimed it to be his favourite cricket ground in the world. His reasons for that accolade? The beautiful location, and the fact that the pub is just 20 yards away. ‘It’s hard to know what else a cricketer could want,’ he once wrote. Wreyland Lodge is on the market with Knight Frank and priced at £1.75 million – see more details and pictures. This house survived its first 500 years thanks to locals' heroism. Now it's looking for a new owner.